Play in competitive, recreational leagues and tournaments which include soccer, flag football, sand volleyball and more. Sign up for intramural sports by visiting the UREC Membership Portal. Many club sports and teams use the UREC Sports Complex to compete and practice. Interested in joining? Visit the UREC Club Sports page to see a list of active clubs, as well as find contact information. Check out sports equipment and play pick-up games of ultimate frisbee, touch football and more with friends during the UREC Sports Complex informal recreation hours. Want to make a reservation for your own sporting event? Reserve the athletic fields using this helpful reservation form. All rates are for each individual facility area. Additional fees will apply for UREC supervision. The sports complex is a facility that supports University Recreation intramural sports, club sports, and informal recreation programming. Enjoy the facility by participating safely, interacting with others, and adhering to posted and verbal requests from the staff. Food, sunflower seeds and gum are not allowed on artificial playing areas. Food must be kept in the pavilion. Equipment may not be moved without permission of UREC staff. UREC staff members exercise the right to remove any patron from the facility due to behavior that violates the conduct explicitly stated in the rules. 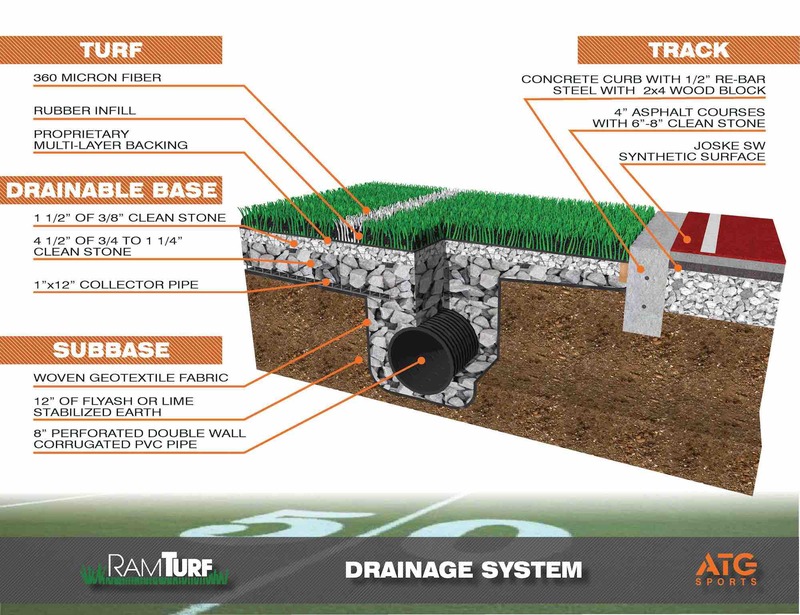 The ATG RamTurf playing surface technology will allow for dry playing conditions year round with its built-in drainage system. With a complex drainage system such as this, the turf will allow for greater flexibility in scheduling programming. Featuring less light spill and higher foot-candle output than the standard metal halide fixtures, the TLC for LED system will offer energy savings year as well as a brighter playing surface for patrons. The UREC Sports Complex is located at the corner of Mitchell Street and Razorback Road, just south of the Billingsley Tennis Center. For questions regarding the UREC Sports Complex at 1486 Mitchell Street, contact Kristin DeAngelo, Associate Director for Facilities.